Families for Orphans: When will Russia begin protecting Russia's orphans? When will Russia begin protecting Russia's orphans? There's a new agreement between the U.S. and Russia about adoption of Russian orphans, but the real answer to reducing the number of Russian orphans is for more Russian families to bring children into their families. Svetlana Smetanina writes about this problem on "Russia beyond the headlines". She reports: "The Russian government has said that the number of children in orphanages must be reduced; five years ago then-President Vladimir Putin published a decree on the subject. But in reality nothing has changed." Is the problem that there is not enough money to support foster families for Russian orphans? Svetlana concludes that there is enough money, but regional governments do not support orphans going into families because of their concern for losing funds designated for orphanages and care of orphans. Read Svetlana's article on Russia beyond the headlines. 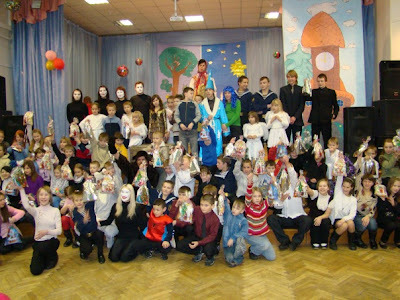 Children enjoy Christmas celebration at a Russian orphanage. Thanks, Big Family Mission! 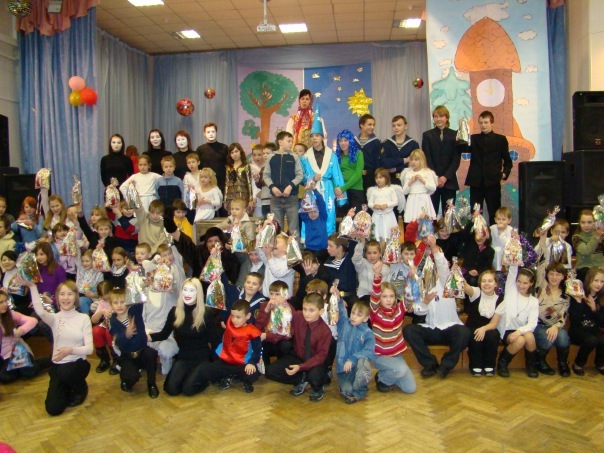 Consider helping Russian orphans come into families. To learn how, visit this page about the Russia with No Orphans project.